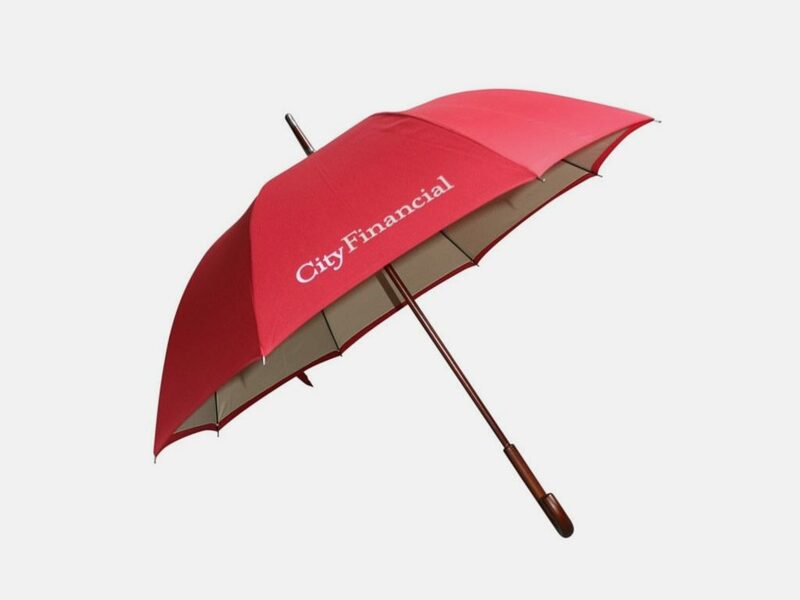 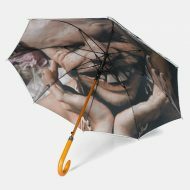 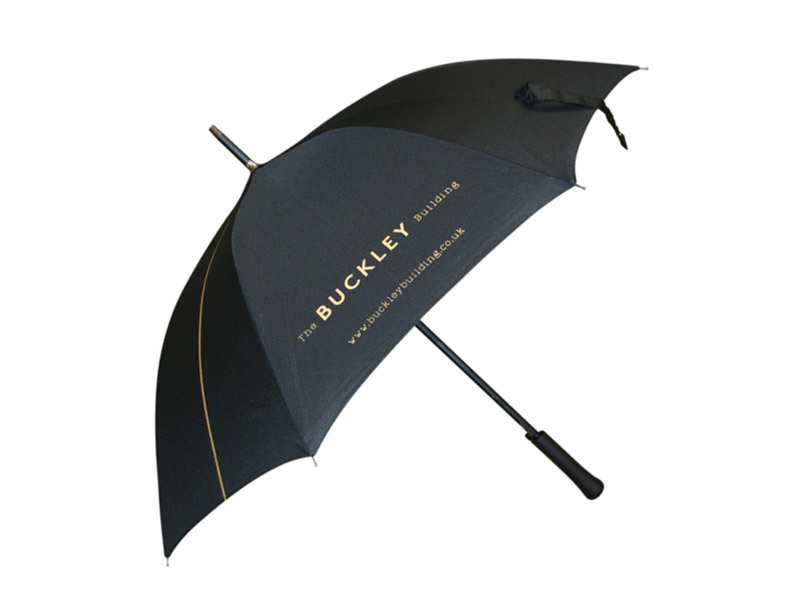 A simple traditional wood walker umbrella, appealing to estate agents, accountants and small businesses demanding a big brand presence statement on a budget. 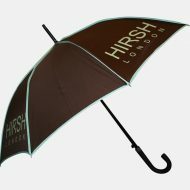 Wide range of stock colour canopy colours. 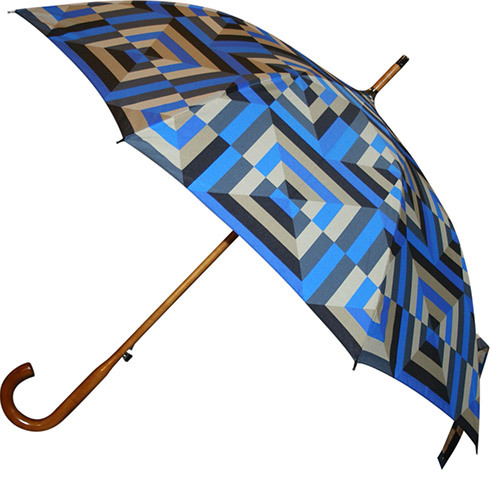 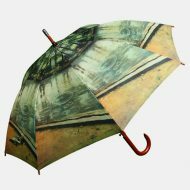 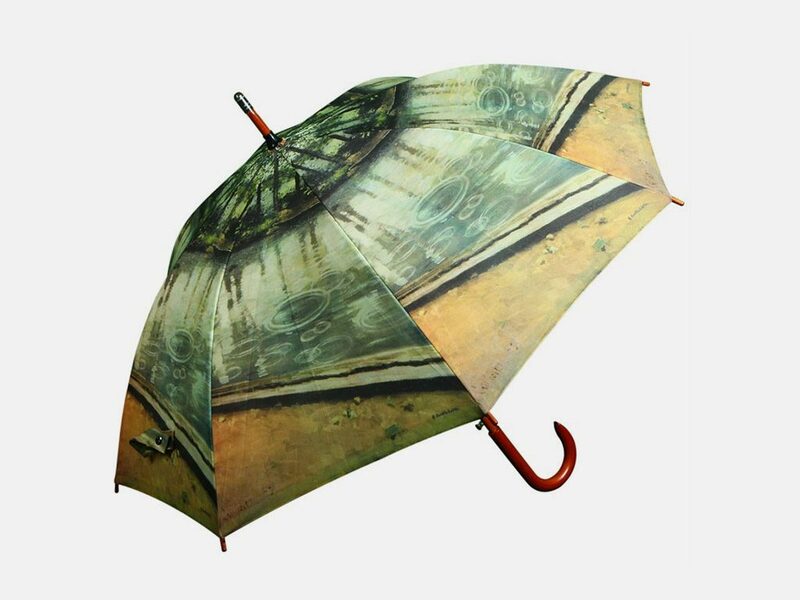 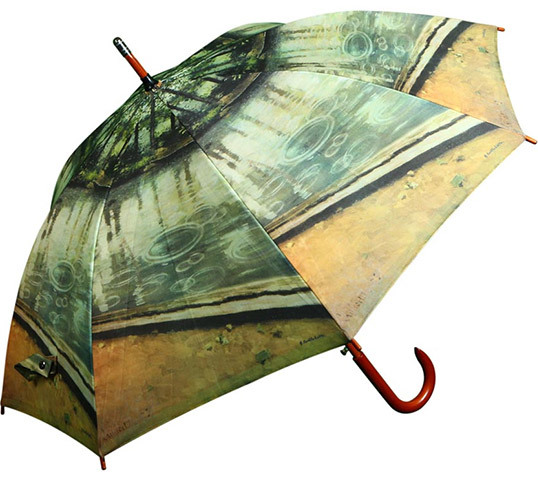 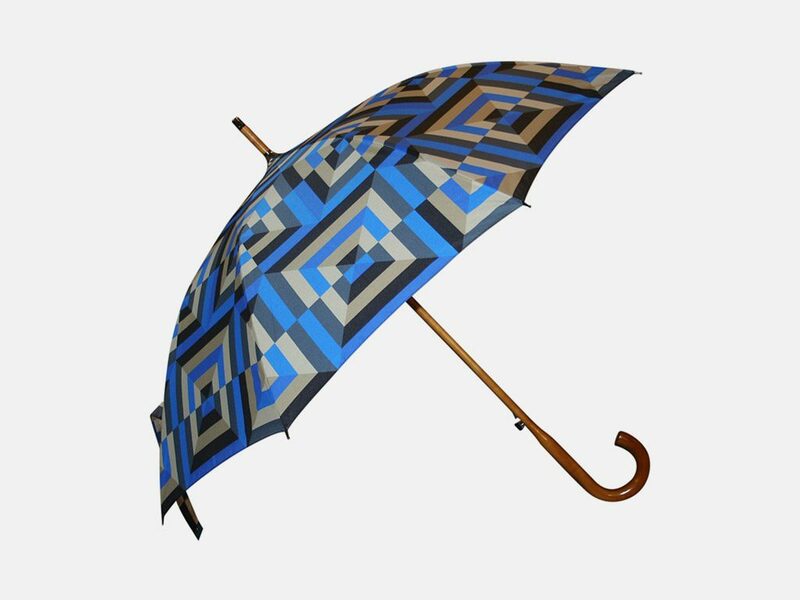 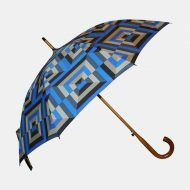 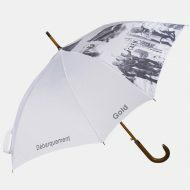 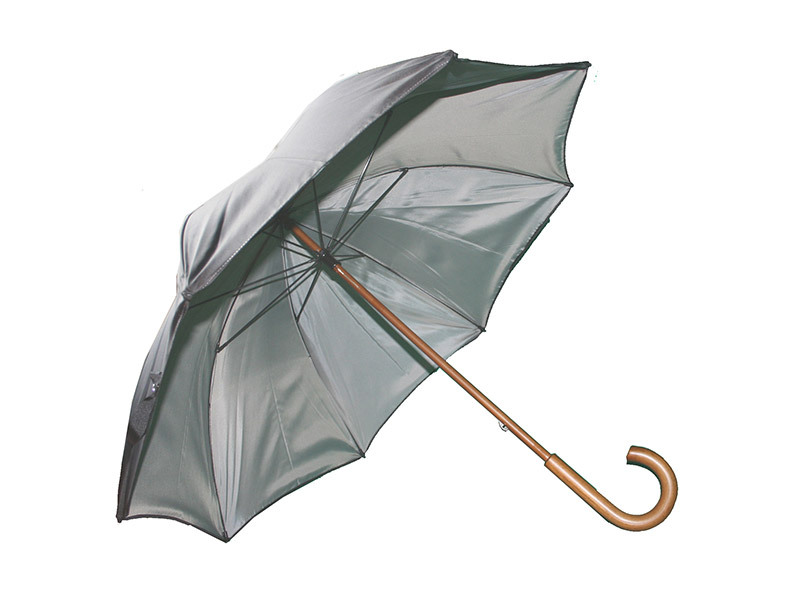 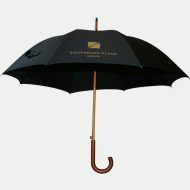 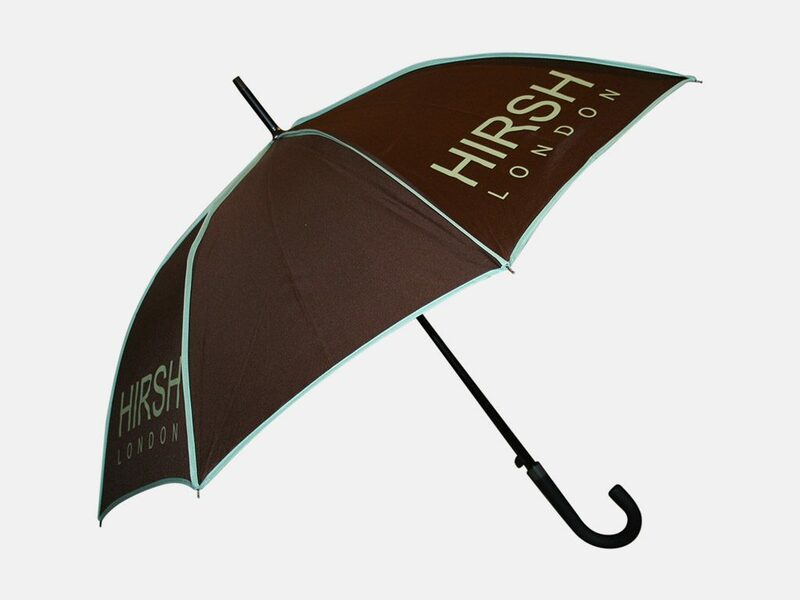 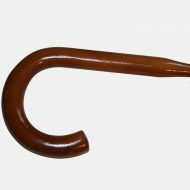 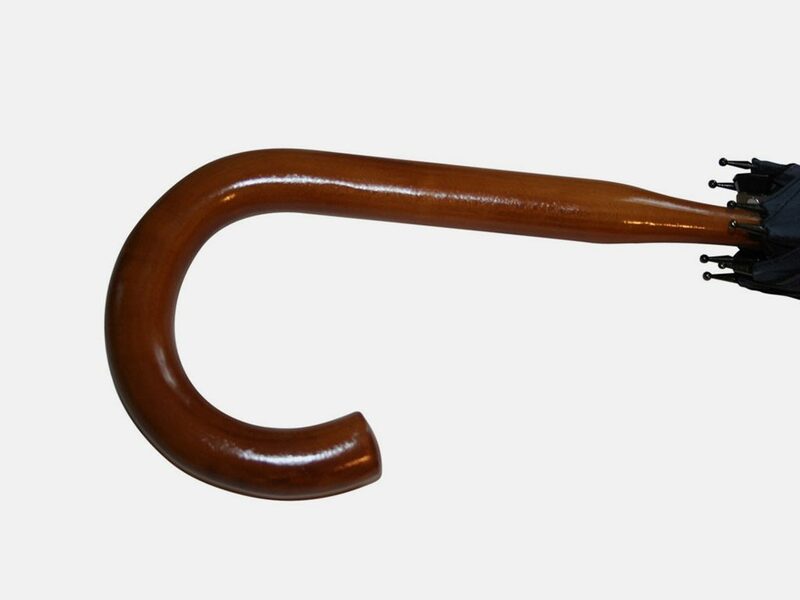 Elegant umbrella with traditional wood handle and gun metal fittings is favoured by those seeking a stylish and conservative look. 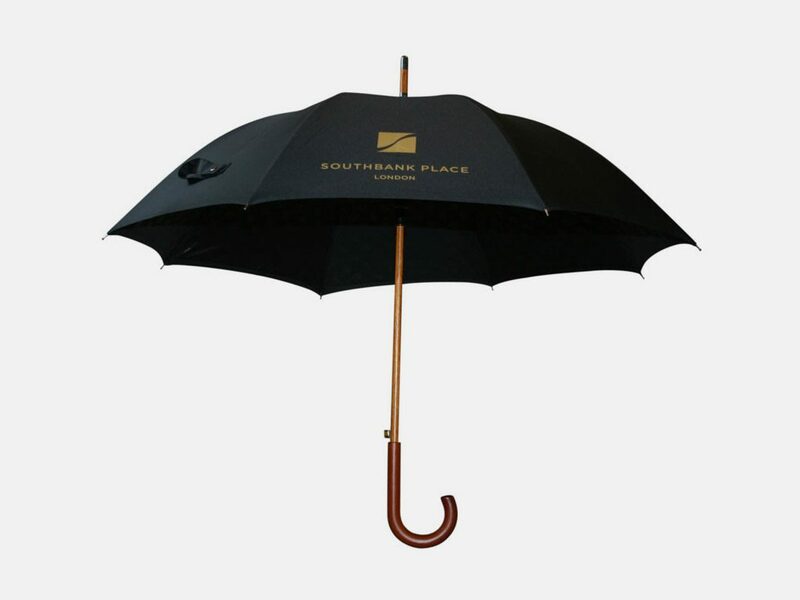 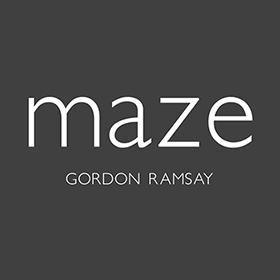 Financial services, property developer, high-end estate agents and long-established city corporate choose this for a conventional and polished accessory. 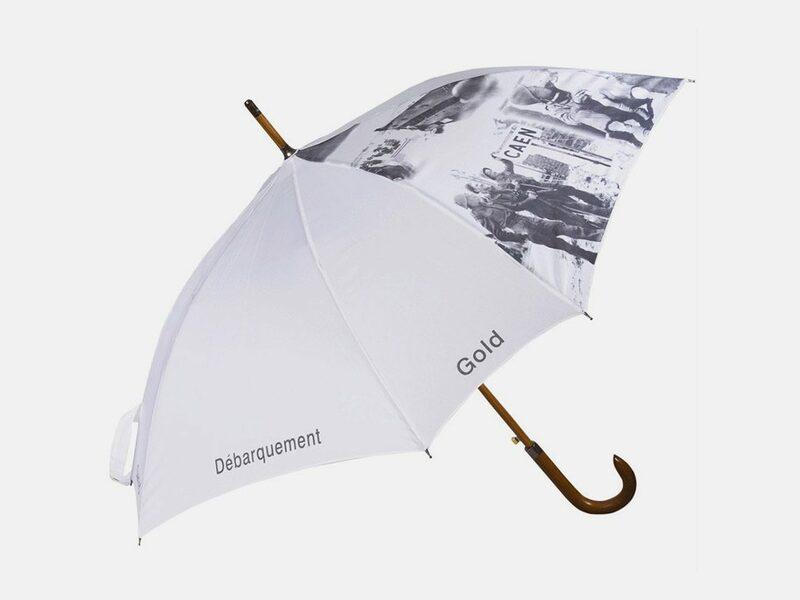 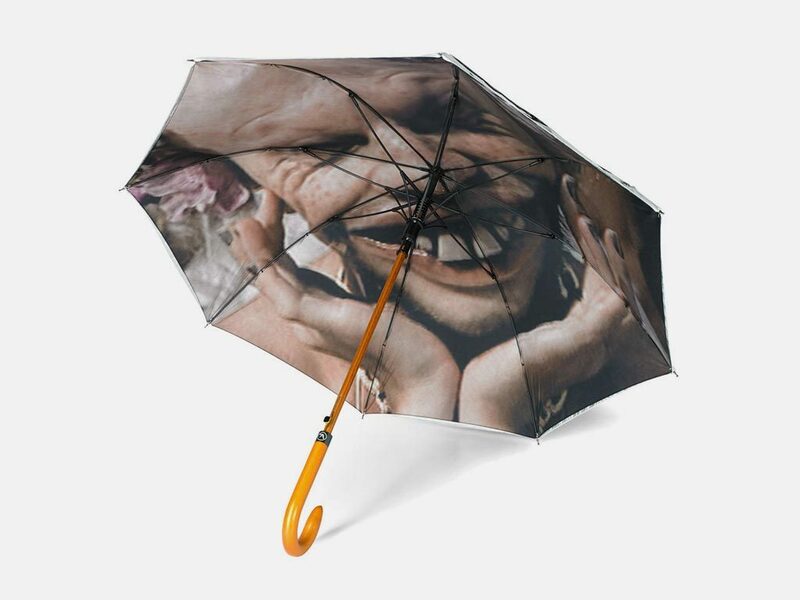 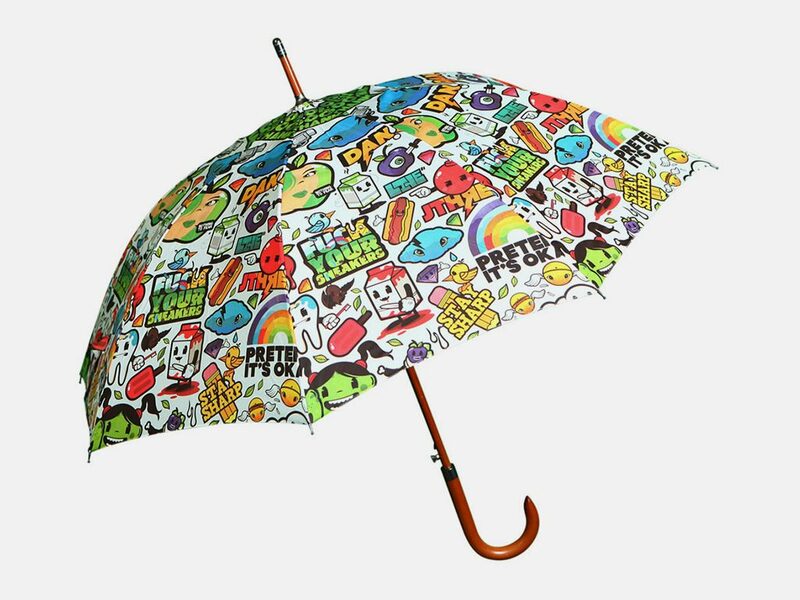 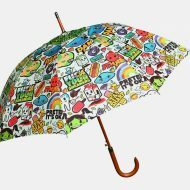 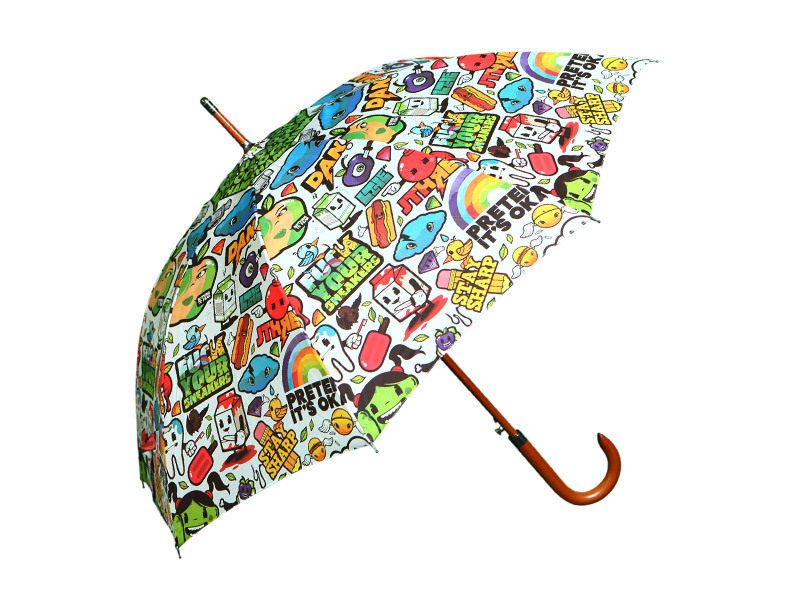 Premium walking umbrella featuring a high grade pongee canopy and fibreglass ribs for strength plus wooden shaft and crook handle. 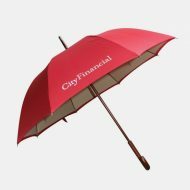 This model is offered in three sizes mini, standard or maxi canopies for use by a variety of businesses looking for a versatile and traditional umbrella.